If you follow the directions on a bag of Nishiki short-grain rice, you’ll get an odd mix of gummy and hard rice. That’s why many rice-loving families have rice cookers, either simple models, or expensive with fancy fuzzy-logic controls. Both work well, but you’ll give up a desirable chunk of counter space. However, with one little trick, Japanese rice can be made to satisfaction–on a consistent basis–in a stovetop saucepan. 1. Measure out the rice into a bowl, and shake in a little salt, if you want it. 2. Boil the water on high heat in a 3-quart or larger saucepan, covered. After 4 or 5 minutes the water will boil, so turn down heat to medium heat. 3. Lift the cover, quickly dump in the rice, and stir it. Put the lid back on, and cook 1 minute. Turn heat to low, lift the lid and thoroughly stir the grains. Put the lid back on, and continue cooking on low heat for 24 minutes. 4. Turn off the heat, and let the rice sit in the covered pan for 10 more minutes. The rice will be done. The trick, of course, is when you stir the rice after it cooks for 1 minute. 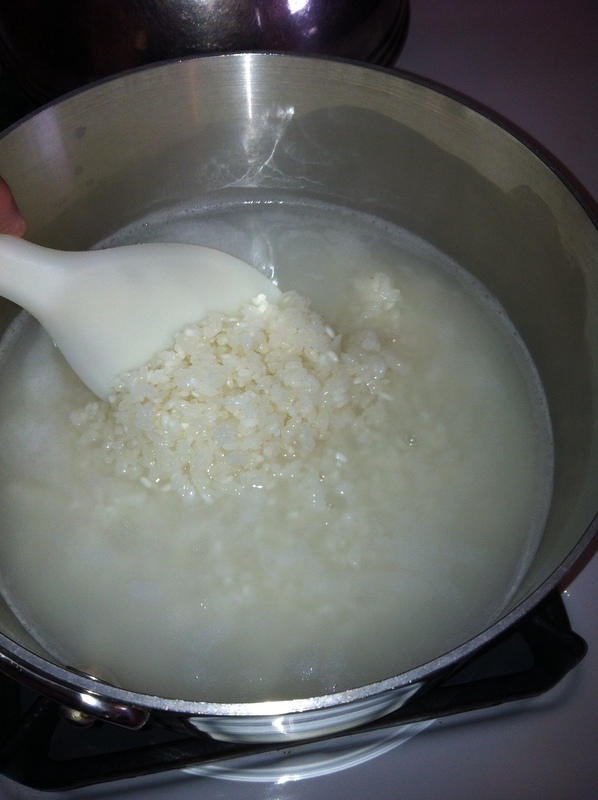 The initial release of starches glues all of the rice into hard clump that resists proper cooking, but when you stir the clump after a minute, the individual grains can cook again. Cooked rice can be stored at room temperature for 24 hours. 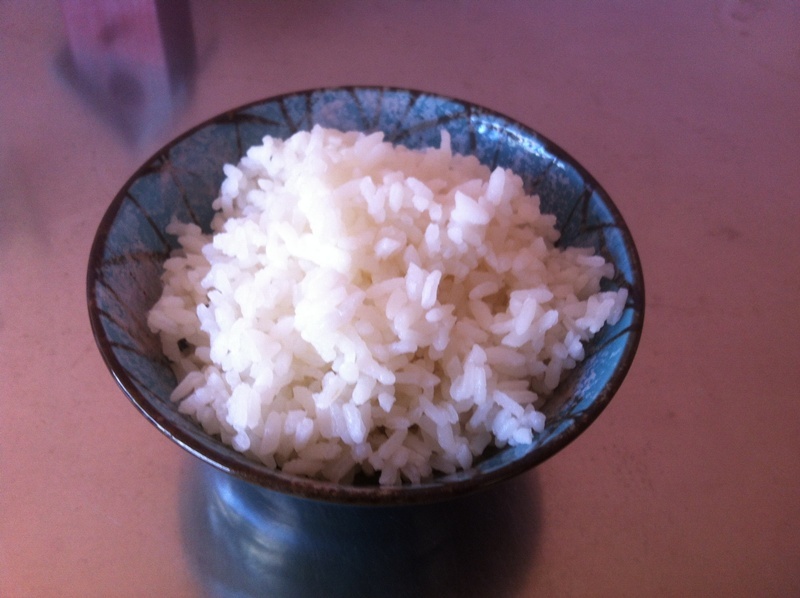 If you refrigerate short-grain rice, it becomes hard (unlike long-grain rice). When you reheat it on the stove, or preferably, in the microwave, the rice will become soft again. Note: Long-grain rice has a different starch than short-grain rice. Go ahead and follow package directions when cooking long-grain rice. It will remain soft in the refrigerator.